Today, it’s easier than ever to track phone calls and form submissions as conversions. It’s also easy to show these conversions in Google Analytics and Google AdWords as goal conversions. This allows you to see how many conversions you receive from each traffic/marketing source. It may be small, but when evaluating marketing sources you really need a good measure of lead quality. Many times tying each individual lead back to its marketing source can lead to valuable insights. 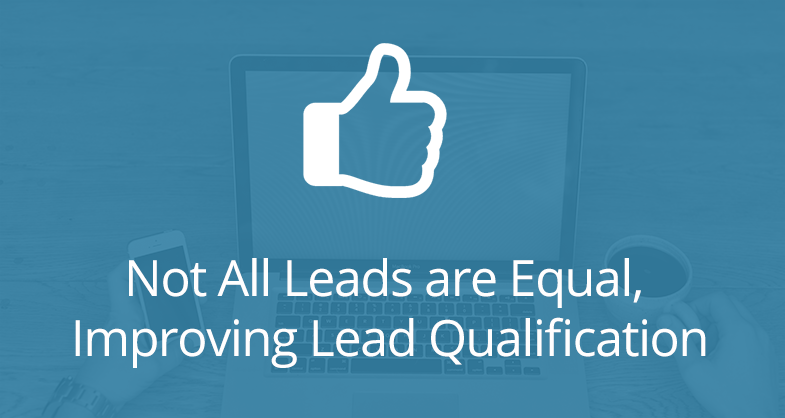 Consistent lead qualification can also be an issue. We’ve made a few improvements to allow companies to setup their lead qualification to suit their company. We Made Qualifying Leads Even Better. By default, WhatConverts allow you to mark all leads as “Quotable: Yes or No”. This is simple lead qualification and does provide good insight when only viewing “Total Leads”. However, companies have given us feedback they would like to ask several standard questions for each new lead, which will enable them to standardize their lead qualification. We listened and have created functionality that now allows you to add custom fields automatically to each lead received. This means that your company can add a set of data fields that can be filled in for each lead received. Now, reporting will become more standardized, meaningful and valuable. Ask yourself or your client “What would make a qualified lead?” It may be one or several factors. Add these factors in the form of a question as a custom field and then when each lead is received get your team to answer these questions with each lead. These questions will be tailored to your specific audience. For example, if you are in the medical fields, questions like “Has health insurance?” or “Are they within our geographic region?” could help qualify leads. Another example could be for automotive suppliers, such as “Make”, “Model”, and “Year”. There are many different fields and questions that could help qualify leads. To add custom fields to your leads, take a look at How to Add Custom Fields for detailed instructions.